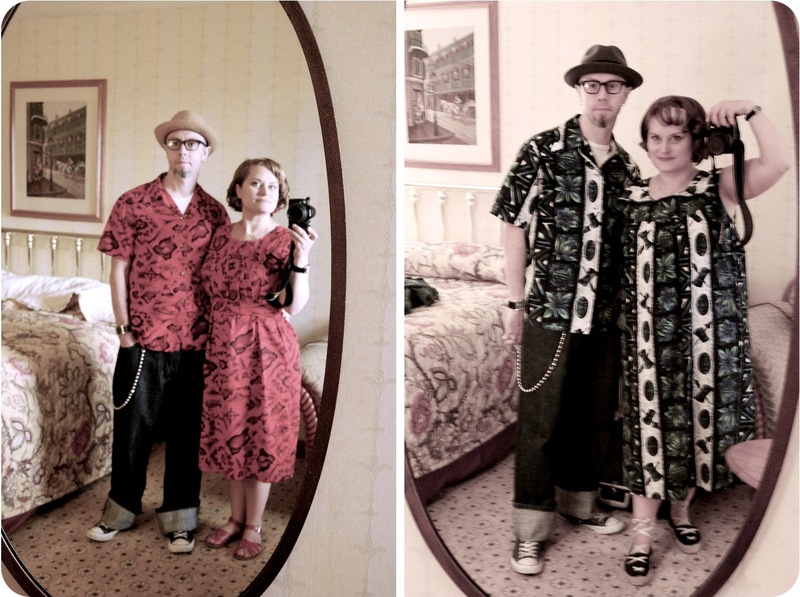 A few years back, I picked up this matching Ui-Maikai muumuu and shirt set. 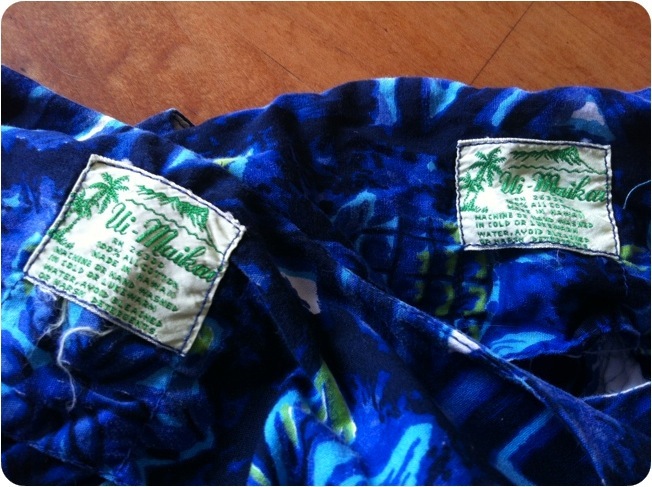 I actually got them on eBay, separately, because this style of hawaiian wear must have been pretty popular. Not only is there tons of it, but it comes in four different colors. Joey’s shirt fit him perfectly. Unfortunately, the muumuu I got was gigantic and even though I tried to take in the sides a little bit, it still fit like a tent. Being 4’11”, big ol’ tents really do me no favors. Case in point, rememeber this photo? That’s it on the right. Yes, it’s a great print sure, it’s a muumuu and it’s supposed to be roomy, but let’s be honest, I could be pregnant two times over under that. When you compare it to the muumuu on the left, which not only is more my size, but was altered with a waistline, it becomes more obvious that the blue muumuu is just kind of ridiculous. So before we went down to Tiki Oasis, I decided to take advantage of all that extra fabric and rework the dress. Now, I didn’t take this lightly and I really struggled with this decision. I am a firm believer in keeping old things intact and it completely infuriates me when I see people taking old chenille bedspreads and making them in to ugly “shabby chic” handbags. I am staunchly pro-preservation. So cutting up a 50-year-old dress weighed on me. So I did two things to make sure I was doing this right. First, I made sure that these dresses were really a dime-a-dozen. They were all over eBay. I could have bought ten of them. So that’s what I did. Well, not ten, but I bought a second one to use for more fabric. And the second thing I did was make sure I was using a pattern from the same era. 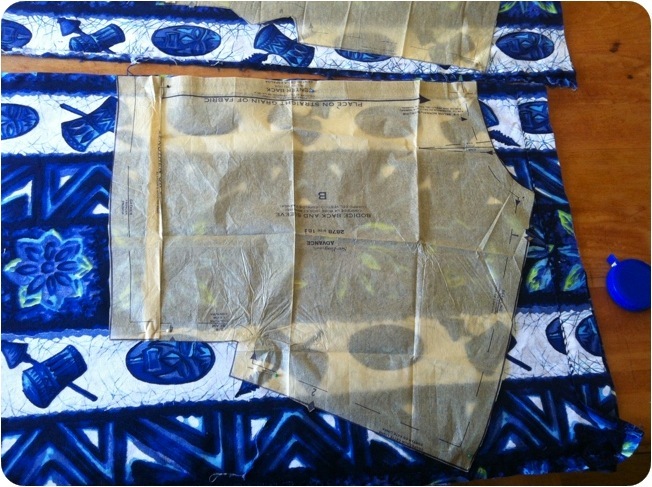 A pattern that could have very likely been used to make a dress from this fabric. 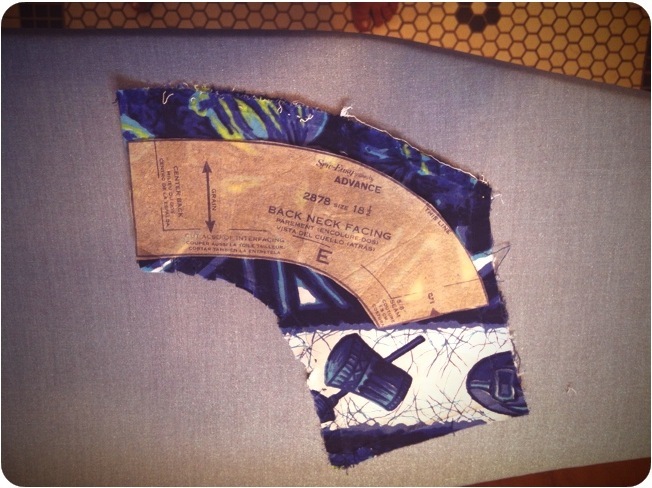 And a pattern that didn’t use too much fabric, since muumuus and all, I was working with limited yardage that was pre-cut. Here’s what I was working with. 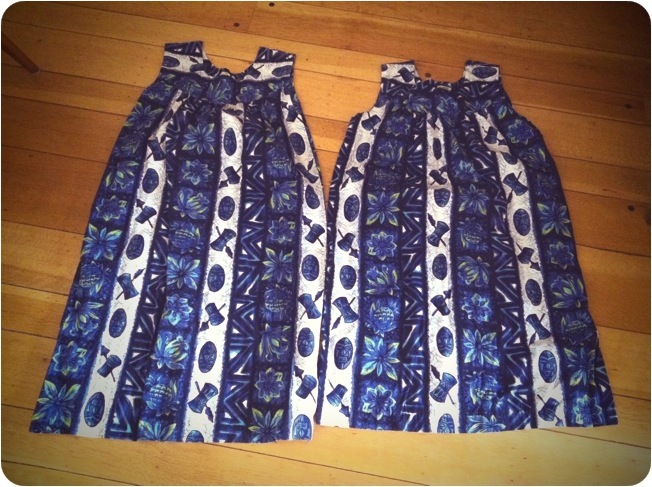 The original muumuu is on the left, the second one I got for yardage on the right. Impulsively I bought the second one in size small, but really I should have looked for another large one so I’d have as much fabric as possible. Oh well, I wasn’t thinking. 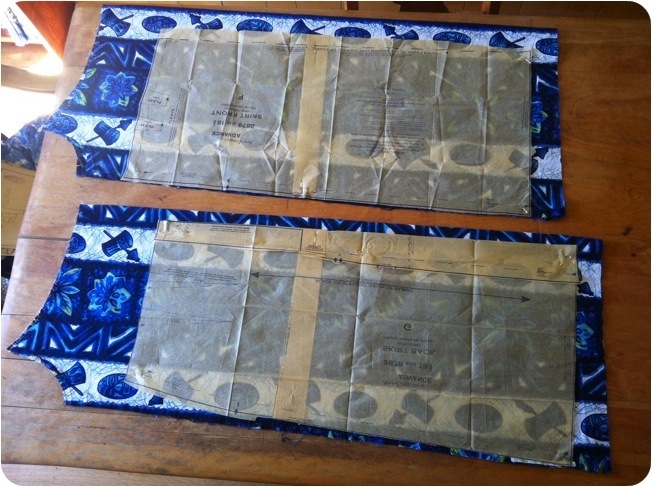 So I set about carefully ripping out all the seams and ironing the pieces flat. Also, as part of this whole “do no harm” effort I decided to salvage one of the tags and attach it to my new dress. Part of what I liked about this was that possibly someday this dress would find its way into someone else’s hands and they would be baffled by this weird one-off Ui-Maikai in a different pattern. Though anyone familiar with vintage clothing could take one look at the polyester thread and zipper I used and figure it out. 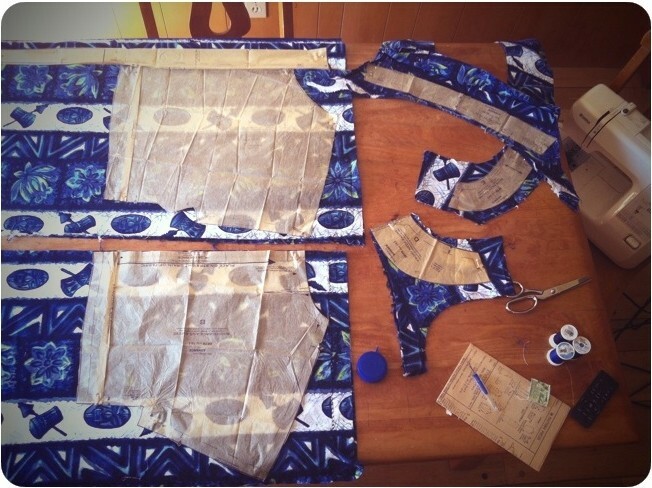 Next, I laid out the pattern pieces. Over and over and over again. 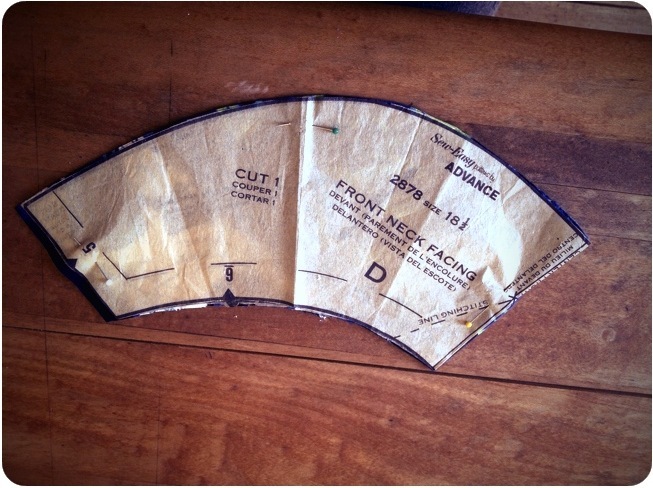 I remeasured. I tried different placements. I sat with this for a full week. I have never been so nervous to cut into fabric as I was with these. Partly for all the reasons mentioned above, but I had really upped the stakes by waiting until the last week before Tiki Oasis to do this. So if I messed these up, not only would I have ruined two vintage dresses, but I’d be out one matching outfit Joey and I planned to wear. So I had to get this right. And as you can see, I didn’t have much margin for error. I also did my best to place the pieces so I didn’t get any weird repeating patterns or off-center stripes. Since I had just barely enough to work with, it didn’t work out perfectly (as you’ll see later) but I think I got it good enough. The bodice came out nicely at least. Have I mentioned I had limited yardage? Yeah, I know. 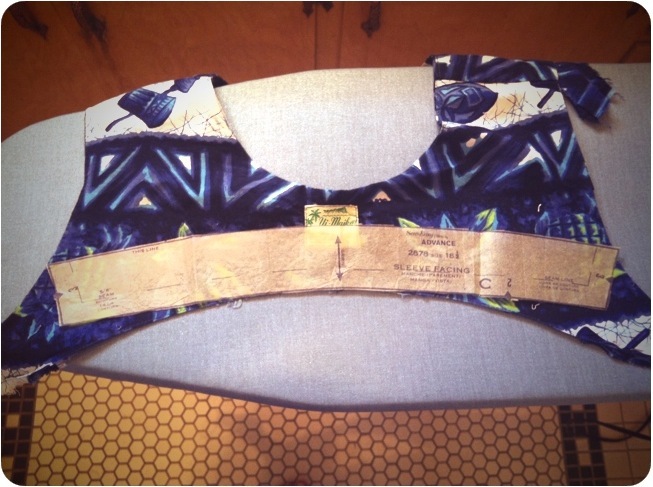 So I used the yoke sections for the smaller pieces like the neck and sleeve facings. And finally, all the pieces where laid out. Now I just had to find the nerve to cut. Yeah, I’m a chickenshit, so I started with the yoke piece. I did it! Emboldened by this first piece, I tackled the rest. 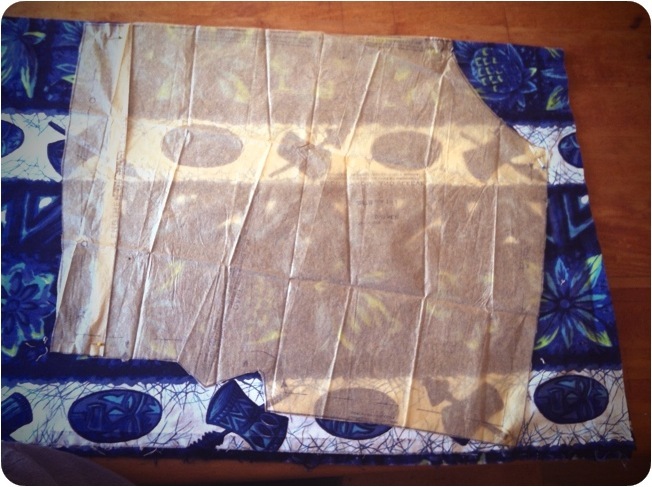 Sewing it together was much less traumatic. 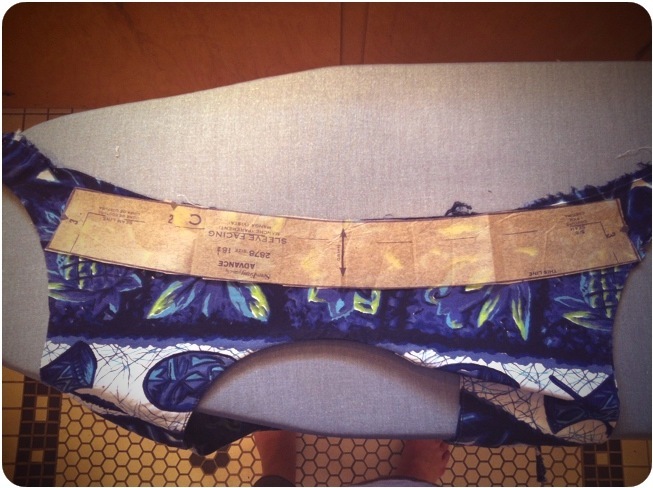 Thankfully it’s a pretty simple pattern, so it went together quickly and without any mishaps. Seriously, I can’t emphasize enough how relieved I was that nothing went wrong and I had a wearable dress at the end of this. Hell, I might even say it was quite smart-looking. But here, judge for yourself. 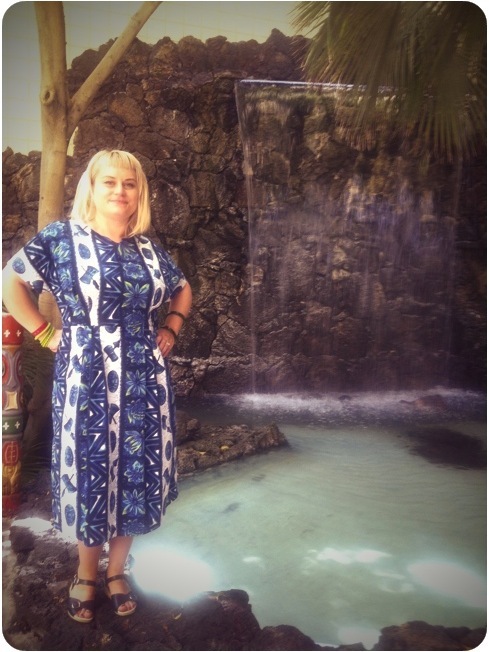 Like a total dork, I posed by the atrium waterfall like a daft pin-up. It’s impossible to not feel silly modeling dresses I make, so I embraced the silly. 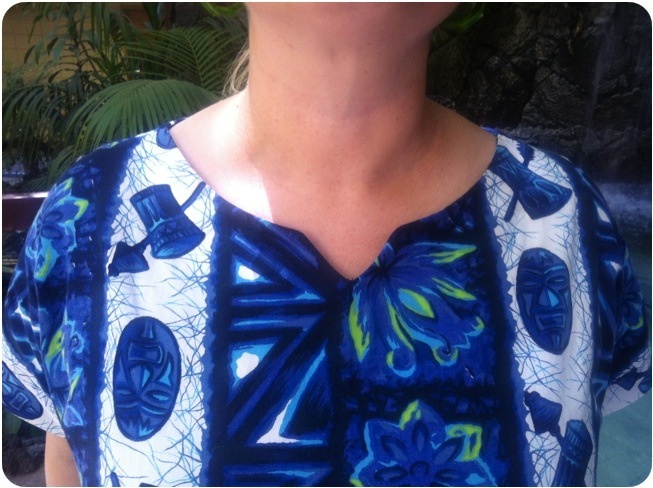 First, my favorite part of the dress, the notched neckline. 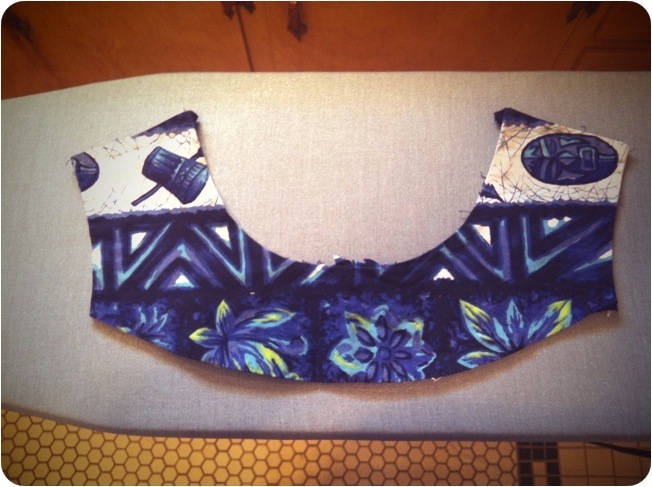 You can see here that the pattern placement worked out pretty well on the front bodice. I tried to center it as best I could, but the original muumuu was a bit off-center, so this was as close as I could get it without going right off the fabric. The front skirt matched up fairly well. There was just no way to get the white strip to not fall awkwardly, so I did my best. It’s a little awkward on the left side there with the white stripes being so close together. The back worked out a little better. Even though I look like a weightlifter here. Yay, for awkward posing! 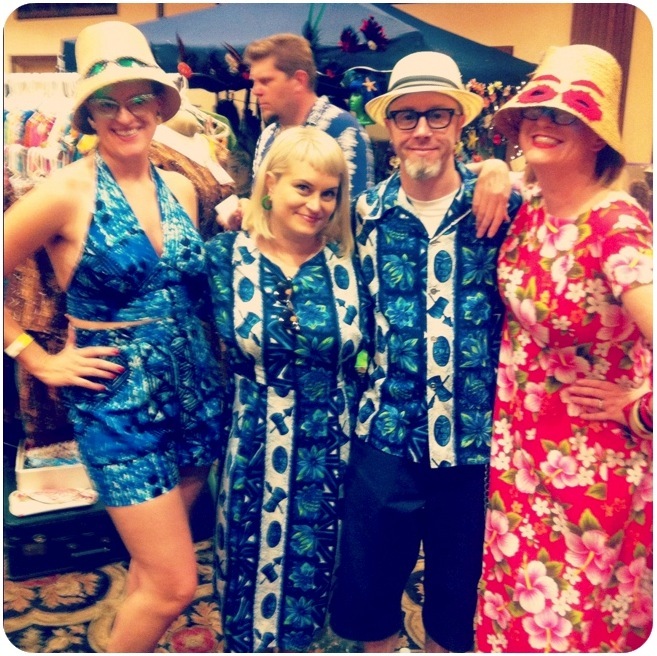 Finally, a photo of us in the vendor area with our friends Shona and Karen. Can we have a moment of reflection for their awesome hats? There were about six ladies there with various versions of these hats and they all got together for a photo that day. It’s magnificent. Doris would be envious. I’m gonna spend the next 12 months trying to find one of these for myself. 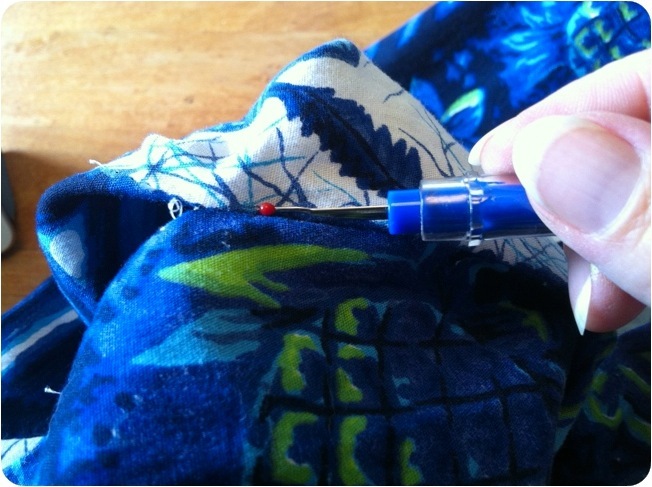 And I’m gonna keep making as many matching hawaiian outfits as the fabric gods will allow. 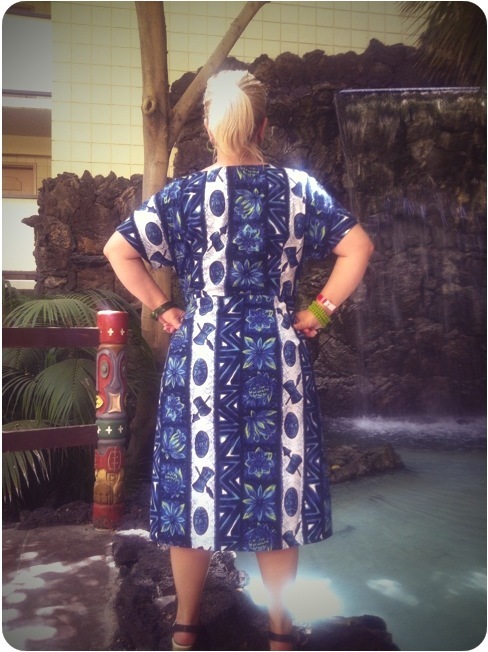 10 Responses to "Making a muumuu less moo"
I am honored to have made a cameo in your blog… And your ensembles were perfection!!! As were yours! I had so much damn fun there. I can’t wait to go back. A year is too long. What I mean is a blog site that is regular enough to attract advertisers. Thanks Mom! That’s sweet of you to say. 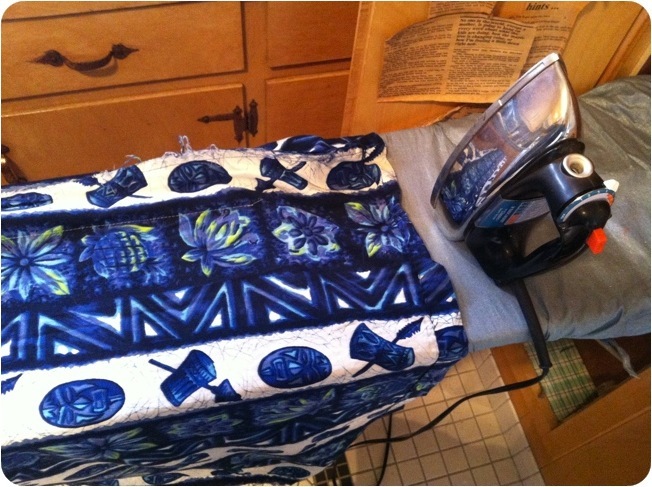 I’m just happy to be able to share my projects with my friends and other sewing enthusiasts. First, you guys totally have to go to Tiki Oasis! I am thinking of writing a post dedicated solely to the fun we had there. After years at Viva, this was nothing short of a revelation. Everyone was so friendly and nice, people were welcoming, no one was taking themselves too seriously and the whole thing was just good, goofy fun. Joey said it made him feel like Viva had been an abusive relationship. Ha! They are definitely having it next year and plans have already started. As for the dress, thank you for the compliments! Like I said, it was a genuine moral dilemma, but after having worn it and been so happy with it, I’m totally glad I did it. 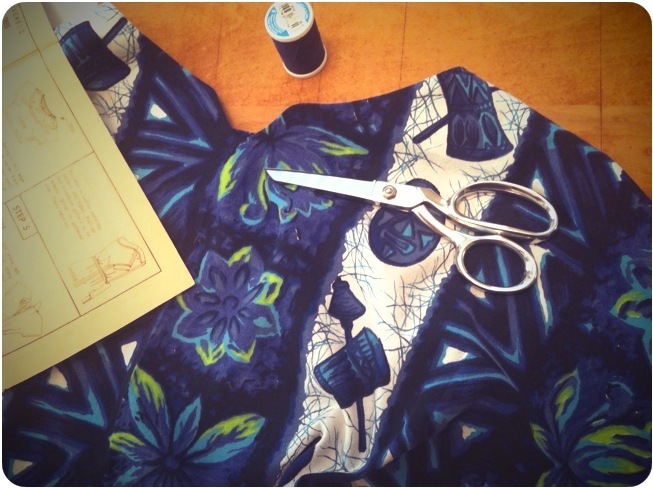 Now I just need to find the nerve to cut into the other vintage Hawaiian fabric I have! I can’t wait to see what other transformations you make! I don’t have much Hawaiian in my wardrobe, but can you believe I have one set (I think I wore it to Viva the year we were all there together) that has the bodice completely pinned in because it’s too big? Yes, that means years later it’s still pinned that way. 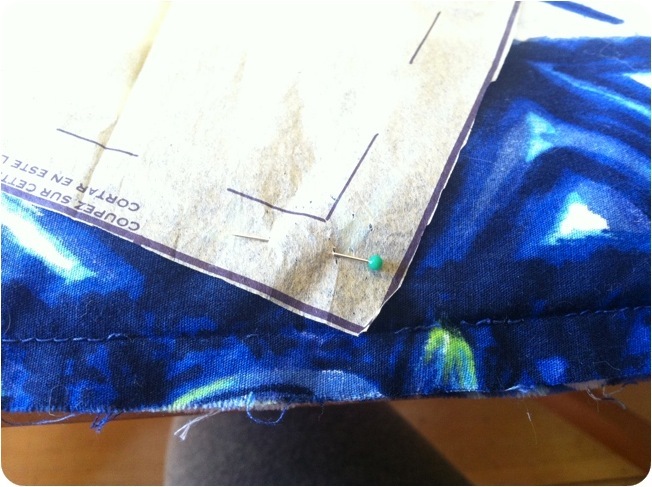 I’m not too bad at starting with raw fabric but the idea of altering things sends my head into a tailspin. Tiki Oasis sounds great. If you don’t end up doing a post on it, please do email me about it sometime. We’re going to be planning a trip to Scotland next year (was going to be this year until the house buying bit), so it might be hard to do another non-family-visiting trip, but we would LOVE to go to that. Maybe if we do Scotland in spring (like I’m hoping), we can make it happen! I am definitely goona try to write a post on it, but I’ll email you as well. I really hope you guys can make it next year. It’s just a rediculous amount of fun. 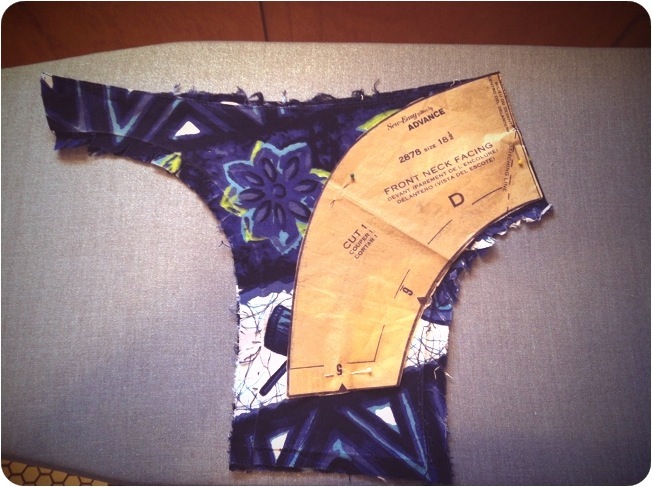 On the sewing front, I started sewing by altering existing garments to either fit me better or be something else (the favorite pastime of the short punk kid) and taking things apart is the primary way I learned to sew. Of course, now I cringe when I think of all those vintage clothes I dismantled, but it was the 80s and no one knew better. So nowadays I try not to alter vintage clothes in any permanent way, but I think in some cases, like with these REALLY common muumuus, it’s probably ok. I’m still waiting for someone to tell me I’m a monst for doing this, and I don’t thinkmid disagree with them. Hello, I found this place few minutes ago and I am crying…I am 45 years old, yearning for the clothes I had when I was young.They looked much better than we can find today, they lasted longer and even when they got old, there were no holes as we easy get now at T-shirts. 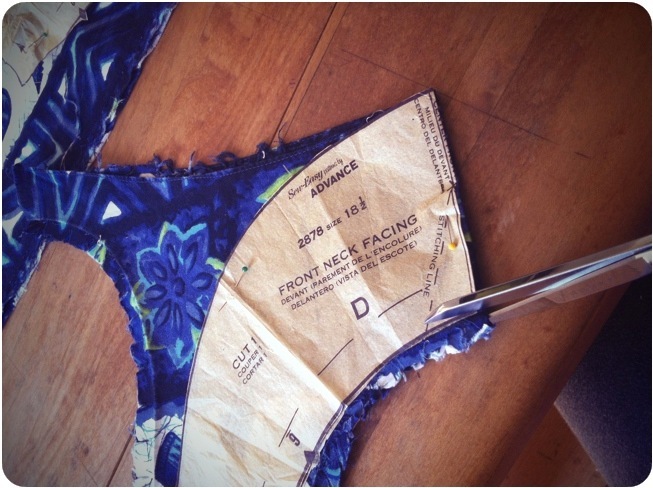 I sew since I am 20 and I congratulate you for your work.